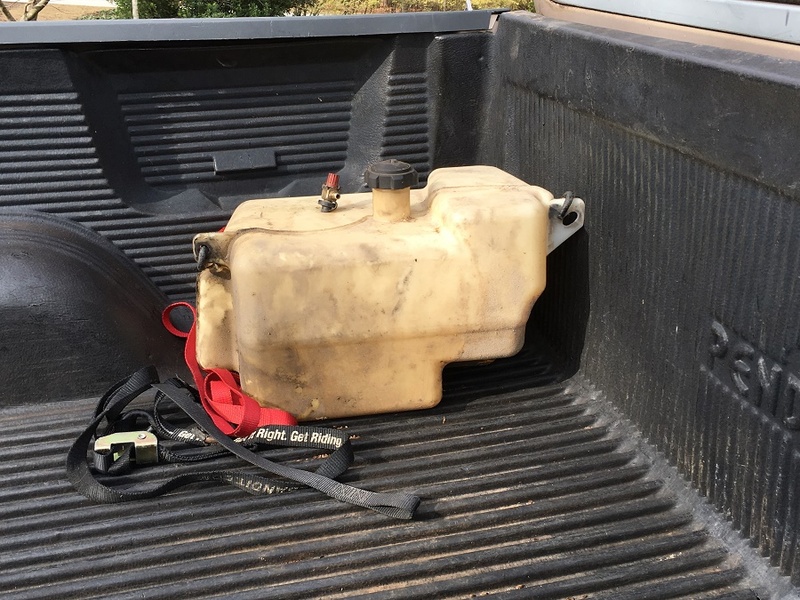 The day after I pickup the gas golf cart and start unpacking everything in the daylight, I realize I forgot to get the gas tank from the seller. My current plan for the gas cart is to use a different type of tank, but I’m not sure it will work out. I checked eBay and didn’t even see a tank being sold. I figure in 3-4 months when I’m getting close to getting the cart finished up, I will kick myself for not getting the tank. So I arrange to have the tank left out by the garage so I can pick it up during the middle of the day when traffic won’t be so bad. I leave around 10:30 to head out on the 71 mile drive up there. About 1/2 way there, the southbound lanes of 75 are completely closed due to an accident. Then about 10 miles north of the accident, traffic is backed up due to construction. So much for a traffic free road trip. Now that I went through all the time and hassle to get it, I’m not going to be surprised if I wind up selling it on eBay for $10. This entry was posted on December 30, 2016 by Harold Bawlzangya Racing. It was filed under golf cart .